Sous Chef Joel Makes GF Chocolate Chip Cookies! It's a lazy weekend and that means I can finally peruse the aisles while I shop at my leisure. 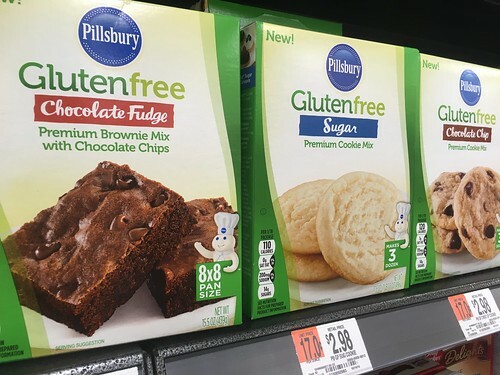 Walmart has some new things in the baking aisle - Pillsbury Gluten Free baking products! I stocked up on a couple of their mixes at Walmart since they make it easy for me to prepare homemade baked goods with my family. Once I got home, my little sous chef asked if we could make something together in the kitchen. I love when we have these family moments! He's been expressing more interest in joining me in the kitchen so we spend some quality time baking. Joel and I both share a love of chocolate chip cookies so it was easy to pick something to make. 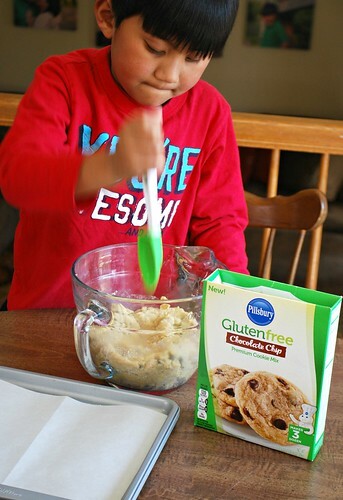 The Pillsbury Gluten Free Premium Chocolate Chip cookie mix was perfect for us to do together. 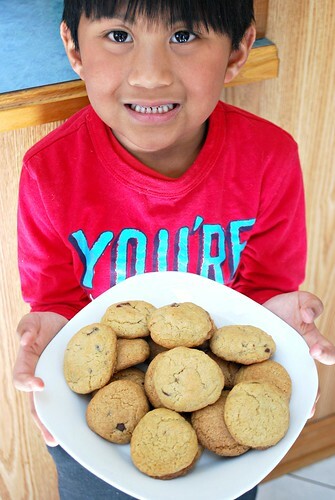 Requiring minimal ingredients - water, egg and softened butter - using the cookie mix allowed us to focus on the fun of stirring everything together and prepping our cookie sheets. 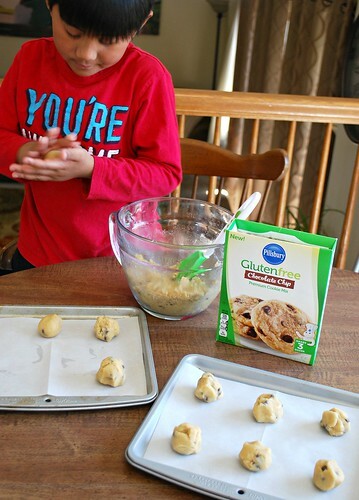 Pillsbury Gluten Free Cookie Mixes, like their Chocolate Chip cookie mix, are the perfect complement to creating instant smiles on my sous chef. 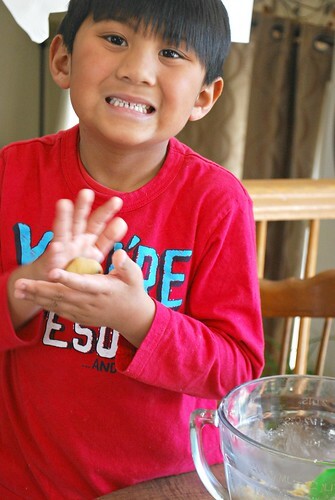 We loving mixing up a moment in the kitchen and having fun in the process. Now with Joel so interested in spending time with me in the kitchen, it's been wonderful to enjoy those times even more. We plan on baking more together with some delicious projects in the works! Check back here soon to read up on how I'll be using the Pillsbury Gluten Free Premium Brownie Mix for an upcoming spring cookout!. In the meantime, I'd love for you to join in the springtime baking fun! To make it easy, be sure to grab your rebate when you buy 3 or more Pillsbury Frosting, Cookie Mix, Cake Mix or Brownie mix here!